There’s much to recommend in Carl Zimmer’s profile of David Reich in Discovery Magazine, not least of which are details on our favorite extinct human cousins, Neanderthals. While Neanderthals are the rock stars of the piece, Zimmer also gives a good primer on human evolution, ancient migration out of Africa and what all that ancient DNA might mean for modern humans. There are few things as fascinating to the folks here at 23andMe as the idea that the DNA of Neanderthals – who vanished about 30,000 years ago – lives on in us. And it bolsters the theory that Neanderthals and humans interbred between 37,000 and 86,000 years ago, or about the time when modern humans began to migrate from Africa to Europe. 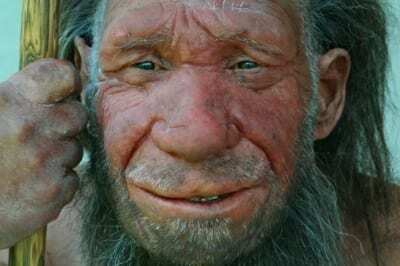 23andMe’s popular Neanderthal feature was developed by scientists Eric Durand and Mike Macpherson, and can tell you how much Neanderthal DNA you have. In Zimmer’s piece Reich suggests that there may also be DNA from other extinct human subspecies in our genes, such as Denisova, another of our early human cousins. The remnants of that ancient DNA — which pieces, how much of it, and who carries it today — contain insights not just about human evolution and migration, but about health and traits in modern humans.